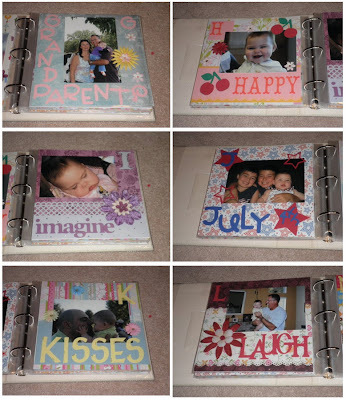 Made this scrapbook for my sister in law for Christmas. It was alot of work and alot of cricuting but I love the way it turned out. Sorry the pictures are so small. This was alot easier then doing 6 different posts though. Just click on the pictures and it will make them bigger. Thanks for looking! Candace, I love this book! I posted on the cricut MB that I will try it myself. 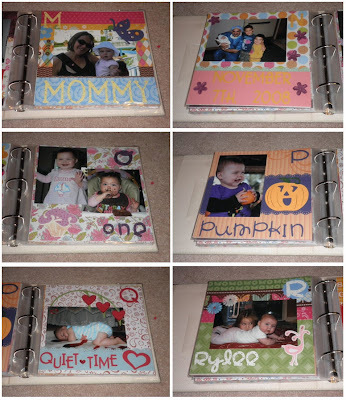 If I post any pages, I will definitely give you credit! I made one of these for DD and it is one of my all time favs. YOu will both treasure it for a lifetime. You did a great job. I love your ABC book!! I like that you have one word per letter. It is easy on the eyes. 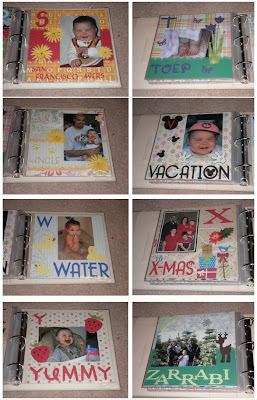 I made one for my niece years ago and I had several photos on some of the pages - I think it was too much.